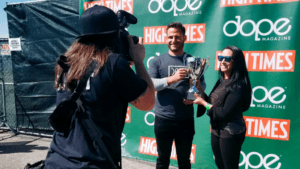 The 2019 High Desert DOPE Cup event was one for the books…and another award in the books for Dixie! We’re honored to have been voted as the best THC drink at this year’s event. But the winning Fruit Punch Dixie Elixir wasn’t the only highlight for us at Dixie. The Dixie Mystic Lounge, along with the entire High Desert DOPE Cup experience was one to remember. The 2019 DOPE Cup is the first of its kind in High Desert History. You might be thinking, “But DOPE Cup sounds so familiar.” That’s because it is. It’s been around since DOPE Magazine started it in Portland back in 2015. But this year, they partnered up with High Times, who traditionally puts on Cannabis Cup. As with many other marriages, one partner takes the name. Thus resulting in the 2019 High Desert DOPE Cup. The event is all about music, art, and cannabis experiences. Performers like Waka Flocka Flame and Soulja Boy paraded the stages as attendees walked the grounds, sampling the best in California cannabis. 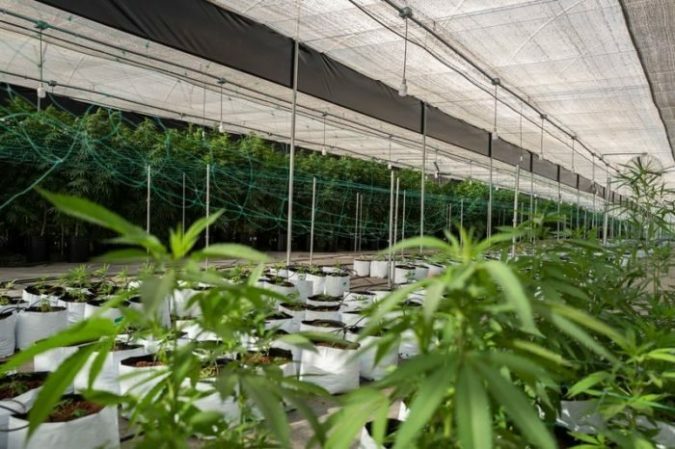 And of course, the ultimate purpose of the event was to determine what IS the best in California cannabis across all of the different delivery systems. While we’re proud to be presented with the award for the best THC drink, we are also proud of the VIP experience we created for attendees in the Dixie Mystic Lounge. We created a secret VIP oasis in the high desert. As you waited in the queue, lined with velvet ropes, “You knew you were about to enter a truly unique, VIP experience,” said one attendee. “When designing the experience, we were inspired by the underground feel of a speakeasy. We wanted to capture that secret society vibe and add our own Dixie flare to it. That’s how we got to the Mystic Lounge,” says Rebecca Maestas, Director of Field Marketing for Dixie. In a matter of hours, we completely transformed that tent in the desert into our inspiration – a high-class, edgy lounge with a mystical aesthetic. It was furnished with plush armchairs and tufted couches for guests to get off their feet and get comfortable. The lounge was decorated with ornate artwork and plants scattered throughout. It was as if you walked into a mystical speakeasy. The speakeasy experience didn’t end there. Cannabis mixologists served ornate mocktails to guests of the Lounge. The mocktails, created by world-renowned Nutritional Biochemist Alex Ott, were crafted from exotic plants and flowers from all over the world. They were infused with Dixie Elixirs, including the award-winning Fruit Punch Elixir. Once combined with a micro-dose (3 mg) of this liquid THC, the beverages provided a euphoric uplift. Tyler Parker, of Dixie, educated the samplers on the social benefits of liquid THC-11-Hydroxy. He explained how the euphoric uplift from their mocktail would enhance their overall social experience at the festival. As the VIP guests of the Mystic Lounge sipped their cocktails, they were entertained by rising cardistry magician, John Stessel. He performed tricks that dazzled and made jaws drop. The event was a memorable experience and we are honored to have won the best THC drink. We can’t wait for next year!